FRANKFURT (Reuters) - German pharma group Merck KGaA launched a hostile $5.9 billion (£4.5 billion) all-cash takeover offer for Versum Materials on Tuesday to boost its presence in the semiconductor materials market and sideline a rival bidder. Versum, the former speciality chemicals division of industrial gases group Air Products, has been opposed to Merck's unsolicited cash offer since it was first proposed last month, saying it was committed to an all-share merger with U.S. rival Entegris agreed in January. Merck kept its offer price unchanged at $48 per share on Tuesday. That compares with an offer of $39.20 worth of Entegris stock for each Versum share under their deal. Entegris was trading at $35 on Tuesday. "The Versum board’s hasty rejection of our proposal and unwillingness to engage in discussions with us has forced us to take this proposal directly to shareholders," family-controlled Merck said in a letter to Versum shareholders. For diversified Merck, controlled by descendants of the group's 17th century founder, this marks the first hostile takeover attempt since its 2006 swoop on domestic drugs rival Schering, which Bayer eventually acquired for 17 billion euros (£14.5 billion). The move is also the first major hostile takeover bid by a German company for a U.S. target since BASF's 2006 approach for catalytic converter maker Engelhard, which ended up becoming an agreed deal. Merck's offer will run until June 7, the letter said. A Merck spokesman said the offer would be conditional on Merck winning over investors with combined holdings of more than 50 percent of Versum shares. Merck said that Bank of America Merrill Lynch, BNP Paribas Fortis and Deutsche Bank had committed financing for a Versum acquisition. "Now the burden shifts to the Versum board to explain with much greater clarity any objections they may have about this offer," said one Versum shareholder, who was previously leaning towards the Entegris deal. Versum shares closed 0.5 percent higher, reflecting hopes of a higher bid. "This tells me the ball is now in the Entegris court to either increase its offer or to go away," the investor added, asking not to be named. Versum said its board was reviewing Merck's offer and would inform its shareholders about the board's formal position within 10 business days. A statement from Entegris emphasised the merged group's development potential from cost and revenue benefits. "Merck’s low premium, change-in-control offer would prevent the stockholders of both companies from participating in potential upside of the combined company," it said. Merck, shares in which were up 0.7 percent, is building a high-tech chemicals division called Performance Materials to cater to the electronics industry. A major part of that is its liquid crystals business, which has previously achieved operating income margins of 40-50 percent but is now suffering shrinking sales under pressure from Chinese rivals. The moves by Merck and Entegris are viewed by some as an effort to seize on beaten down stock prices in the volatile semiconductor industry after demand for mobile devices slowed and prices for memory chips sank. Versum, which makes chemicals for the semiconductor industry, suffered a 27 percent drop in its share price last year. The main rivals in the fragmented market for chemicals used in electronics include DuPont, Honeywell , Hitachi Chemical and Shin-Etsu, according to UBS analysts. 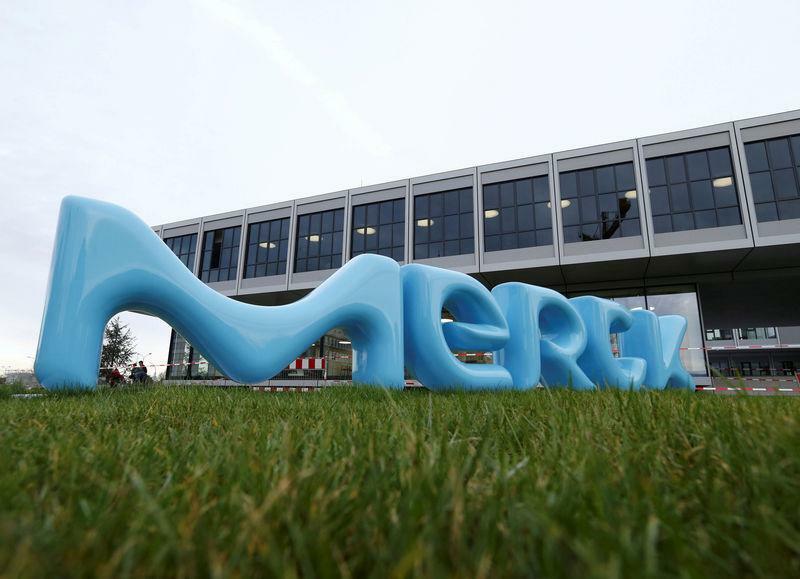 Merck is diversified across three separate businesses, including a pharmaceuticals operation that struck a 3.7 billion euro collaboration deal with GlaxoSmithKline last month, and a life sciences division that makes supplies and gear for biotech laboratories.